For any nation, the energy ecosystem is fundamental to its progress and development. Since the energy industry drives economic growth, the power grid has always had a profound impact on a nation’s economic survival, security, and sustainability. Now, supported by advances in emerging technologies like artificial intelligence, blockchain, internet of things and more, the growing digitization, automation, communication, connectivity, and decentralization are on their way to fundamentally transform the way nations manage diverse energy sources, supply chains, and energy management processes. As a result, each individual nation is now able to lay the foundation of an intelligent, integrated, democratized, and decentralized energy market which can work for consumers, have diverse energy sources, and which ensures that energy supply can always meet demand. Individually and collectively, this will likely lay a foundation to bring sustainability to national economic engines. As the technology transformation intensifies, the evolution in the grid is on its way to both allowing energy to keep flowing where and when it’s needed and allowing all energy sources to be used efficiently. So, as nations witness transformative changes to the way electricity is produced, transmitted, managed and used, it is essential to understand and evaluate the emerging trends in technology that could transform the grid further. Acknowledging this emerging reality, Risk Group initiated a much-needed discussion on Smart Grids to Smart Energy with Ravi Seethapathy P.Eng, MBA, FCAE, Executive Chairman of Biosirus Inc, Expert Advisor on Smart Grid, Smart Cities and Energy Systems from Canada on Risk Roundup. Risk Group discusses Smart Grids to Smart Energy with Ravi Seethapathy P. Eng., MBA, FCAE, Executive Chairman of Biosirus Inc, Expert Advisor on Smart Grid, Smart Cities and Energy Systems; Globally Recognized Speaker and Corporate Director on Risk Roundup. With the aging electrical power infrastructure and with increased reliance on automated control systems (e.g. smart meters), there is growing susceptibility to security threats. So, what are the security risks to the smart grid? Where do the threats originate? 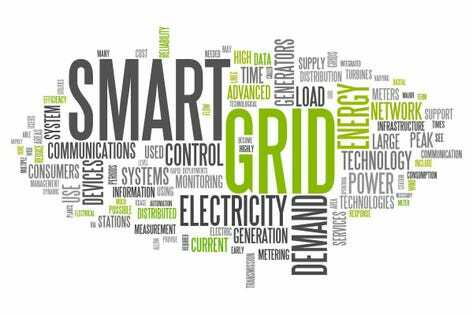 It seems there are many variables to security threats to smart grids: ranging from cybercriminals, nation-states, natural disasters, human-made disasters, and inadvertent technical and non-technical errors. Are nations prepared to face the emerging security threats to its power grid from cyberspace, geospace, and space? It is essential to understand and evaluate what technological and non-technological improvements in grid infrastructure are necessary across nations to build resilient grids. Understanding risk and resilience are essential as nations’ electric grids, data centers, telecommunications networks, and other critical infrastructure are also vulnerable to electromagnetic warfare: a nuclear weapon that generates an EMP (Electro-Magnetic Pulse). Even a geomagnetic storm from the sun could also create an EMP effect. So, when cyber warfare, electromagnetic warfare, and space warfare all have the potential to cause temporary or permanent disruptions to the electric power grid, how can a nation ensure a sustainable source of energy supply? For any nation, the security of its energy ecosystem is fundamental to its economic health. As nations define and design smart energy grids, it is vital to evaluate the security vulnerabilities and make the grids resilient to both natural and artificial disasters. However, to be able to do that, we first need to understand who is responsible for the security of the power grid. Do you know who is responsible for power grid security in your nation?